Breeze Zone - review of Quattro Formaggi. 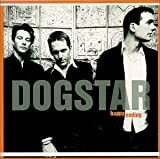 Dogstar - official web site with photos, fan club info, bios, and more. Dogstar Tour'97-Charlotte - one fan's photos from the show.